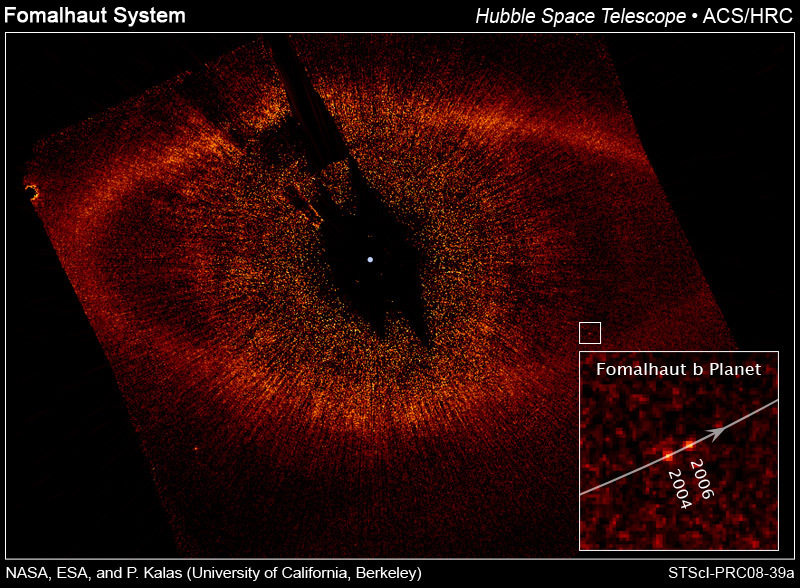 Is the blob seen near the bright star Fomalhaut a planet or not? Only Hubble has ever seen the point of light, but new Hubble observations scheduled for end of May, plus a reanalysis of previous Hubble data may help settle the question. See my story posted May 23 at news section of Nature. My article highlights Vesta’s importance in our understanding of asteroids and meteorites, as well some remaining mysteries that continued study may illuminate. NatureNews (blog) Ron Cowen: Vesta confirmed as venerable planet progenitor ; the ‘confirmed’ in the hed is a good way to say this is not surprise news, but incremental news. 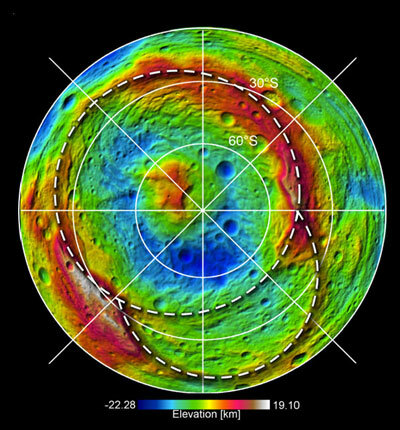 Cowen, on constant prowl for news before it is wide news, includes a link to a previous post on Vesta’s topography and what it might mean, from meetings last fall. 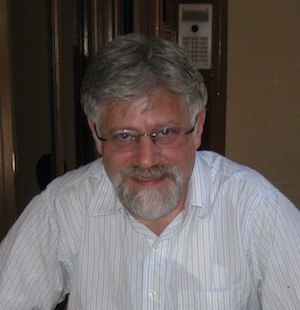 Ron is a visiting journalist at Harvard from April 23 to May 18, 2012. He’ll be a guest at the Harvard-Smithsonian Center for Astrophysics’ Institute for Theory and Computation, attending seminars and lectures and chatting with scientists at both Harvard and MIT. Hope to come back with several cool stories so stay tuned! In the largest survey of its kind to date, astronomers scouring the space around the Solar System for signs of dark matter — the hypothetical material believed to account for more than 80% of the mass in the Universe — have come up empty-handed. If confirmed, the surprising result would upend a long-established consensus, researchers not involved in the study say. For decades, cosmic theories have relied on dark matter — which exerts gravitational pull but emits no light — to be the hidden scaffolding that explains how structure arose in the Universe, how galaxies formed and how the rapidly spinning Milky Way manages to keep from flying apart. Without dark matter, theorists say, the visible material in the Universe, such as stars and gas, would not have the heft to do the job alone. The rest of the article explains how the research was conducted and what the scientific community thinks of the finding. [NatureNews’] ace scoop-hungry reporter Ron Cowen late last week filed on a report, at the preprint server for physics-related news arXiv, that a large international team has gotten an image of a galaxy as it was when the universe was a mere 490 million years old. 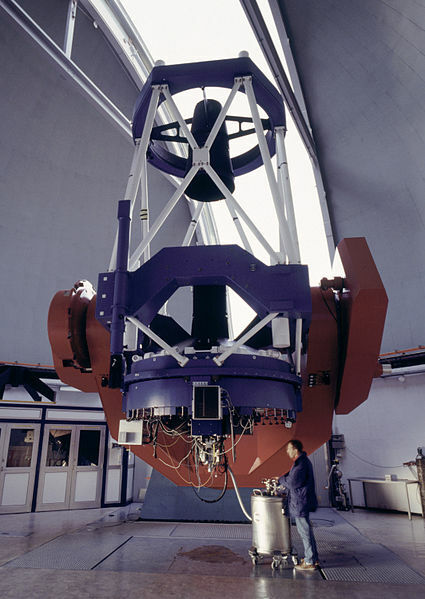 Cowen writes the story well, and includes the enticing angle that if NASA’s Webb Telescope survives its budgetary excesses and goes into operation, its large IR mirror should offer a much better look at this galaxy – dubbed MACS1149-JD1. American Scientist republished part of the article as part of its Science in the News section, which is a roundup of the most important and exciting science news pieces. The article was mentioned here, on my Tumblr site, shortly after publication. Update: The National Science Foundation’s Science360 also highlights the scoop. 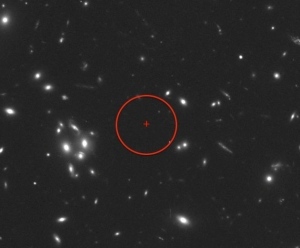 Astronomers are claiming a new benchmark in the quest to see the Universe’s first galaxies. By taking advantage of a rare cosmic zoom lens — where the gravity of a large mass magnifies light from objects in the distant background — a team of US and European researcher has spotted a galaxy so remote its light was emitted just 490 million years after the Big Bang, when the Universe was a mere 3.6% of its current age. Read my entire article, which includes how existing and upcoming telescope capabilities could be used to investigate this galaxy further and what the find means for our understanding of the Universe’s number of galaxies. At a meeting of the American Astronomical Society, scientists talked about mapping dark matter, measuring the ‘graininess’ of spacetime, and discovering the smallest exoplanets ever, using the Kepler space telescope. Ron Cowen, who reported on the meeting for Nature, discusses those findings. Go ahead and listen to me with Ira Flatow on the Science Friday Web site!